Other side? What other side? There is an other side? Well, no, not an other side necessarily, more like a higher level, and it is bright and shiny, and nothing ever goes wrong.... ok, that last part is a fairy tale. 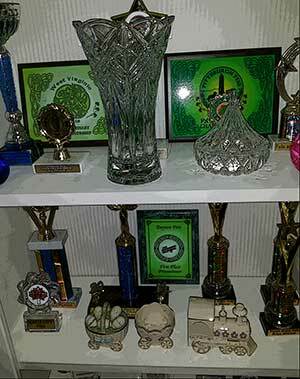 When I was a young feis dad (OK, so less old feis dad), I really had no idea how it all worked. I knew there were different levels, but I thought it was all the same, just at different levels. The levels in dance, like beginners, advanced beginners, novice etc... have an additional hierarchy. The ones I mentioned above (along with Prizewinner), are all part of the Grades level, the Junior Varsity if you will, and then there is the Champs level, made up of Preliminary Champ and Open Champ, or, the Varsity players. Please note: the levels in your region or organization may have different names. In this post, I will briefly cover some of the differences you might see at a feis. You are probably in the 'school costume' days. You know, school dresses, with tattered embroidery because they have been passed on for years, and a smell reminiscent of your high school gym locker... well I say, enjoy it! Your dancer is already noticing the more advanced dancers 'parading' around in their solo costumes, dripping in bling, but you, as a parent, should not be in to much of a hurry to get to that level. If you haven't already, start putting some money into the dress/vest fund every month, trust me. You will get to the solo dress level soon enough, and it won't necessarily be in the Champs level, mid to upper Grades is where it happens around here. Grades levels typically line all the dancers up on stage, where they will stand patiently (most times) along the back of the stage while 2 or 3 of their competitors dance. Champs will line up off stage, and wait while 2 or 3 of their competitors dance at a time, before walking on stage and taking their turn to dance with 1 or 2 other dancers. Grades levels will do as many as seven dances at a feis, the basic six (at least in my area), and a traditional set dance. There might be even more than seven if your dancer does a special. If you need a quick dance primer see this. Champ levels on the other hand, will only do two or three, two similar to those in the basic six list, consisting of one hard shoe and one soft shoe dance. The third will be a set dance, but please note, not all champ levels or feiseanna require a champ set (at least for PC). One other difference that should concern a parent, is that at lower Grades level, you can take pictures of your dancer on stage. You cannot however (and should not see other parents doing it) take pictures of upper Grades levels, and definitely not Champ levels. Big no-no, and remember, you are not as smooth as you think you are trying to sneak a pic or video. Standing around, staring at the wall, waiting for somebody to post results, checking back every 5 minutes until you get the results, hoping to see your dancers name or number on the list. Or maybe, you are the type to wait till the end of the day and go get all the results at once, trying to force your way through the crowd to get close enough to see them. Yup, that is Grades. But do not fret, there is hope, there is a light at the end of the wall, and know when you graduate to Champs level, you will not stand, staring at a wall. Instead, you will stand, with all the champ dancers, their friends and school mates, their parents and guests, some times with multiple comps at the same time, staring at an empty podium, waiting for someone to come up and call out the results for the two or three dances your dancer did. 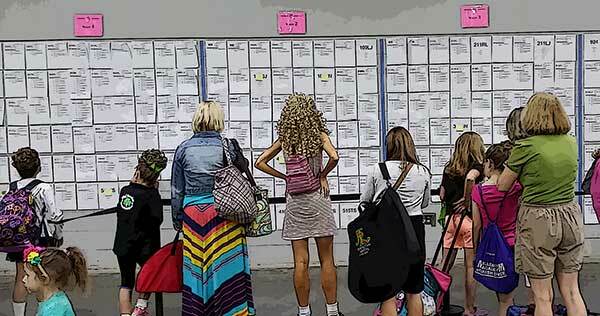 The Grades level results wall is a place for mini-celebration, as dancers and their families get their results. On the contrary, the Champ level results are most often an applaud/scream fest, as each dancer who placed (top half of the results) is called to stand next to, or on the podium. If the results are good, your dancer will go to the awards table to pick up their awards. These vary, and I have seen some really nice metal ones, and some really cheap plastic ones. The metal ones make the best sound in the world (at least to an Irish dance parent), the clinky noise they make banging together as your dancer struts victoriously out of the venue. The only thing better, is the look on their faces. At this level, ribbons are also sometimes given, and some feiseanna will give trophies, but these 'seem' to be for the higher grade levels. Your trophy mileage may vary. When Champs get their results, many feiseanna will rank the top three dancers for each of their two or three dances, and they will most often receive the same medals the Grades levels will get for 1st, 2nd and 3rd. The real acheivement at this level however, is to place overall (based on the results of combining the scores from the two or three dances) and hopefully podium at these levels. With a place on the podium, comes (at most, but sadly not all feiseanna) a... wait for it while I queue angelic singing and harp music... SASH! 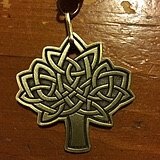 Coveted by all dancers, this is the ultimate goal, above and beyond what other trinkets the feis may bestow. So is the grass greener? It really depends on how you look at it. In a lot of ways, we miss the old days...the shorter feis days, the lower stress, the cheaper costumes and the easier joys of the Grades level. There is a lot for you and your dancer to look forward to, but its a whole new ball game. Take your time moving up, and don't be discouraged if it just happens slowly anyway. You will get there soon enough. And remember, be careful what you ask for, you just might get it. As for the grass, I think it is the same color, it just has a lot more bling. Nice article! I just wanted to say that I spotted myself in the photo for grades results, which I think is cool. I'm the tall blonde with the really dark fake tan. The funny thing is, I'm actually in OC but was checking to see how some of the younger girls from my school did...Anyway, in my opinion, champs is much better than grades, and OC (at least for me) is much better than PC. Cool... can you tell me what comp you are in LMH? TGC has since made it to OC Good luck out there!